Carriles’s original Cuban passport and a State Dept. INR report to Kissinger on Carriles’s involvement in Cuban jet crash. CIA-trained Cuban exile and suspect in the 1976 Cuban jetliner bombing that killed all 73 people on board, Luis Posada Carriles, has died at the age of 90. 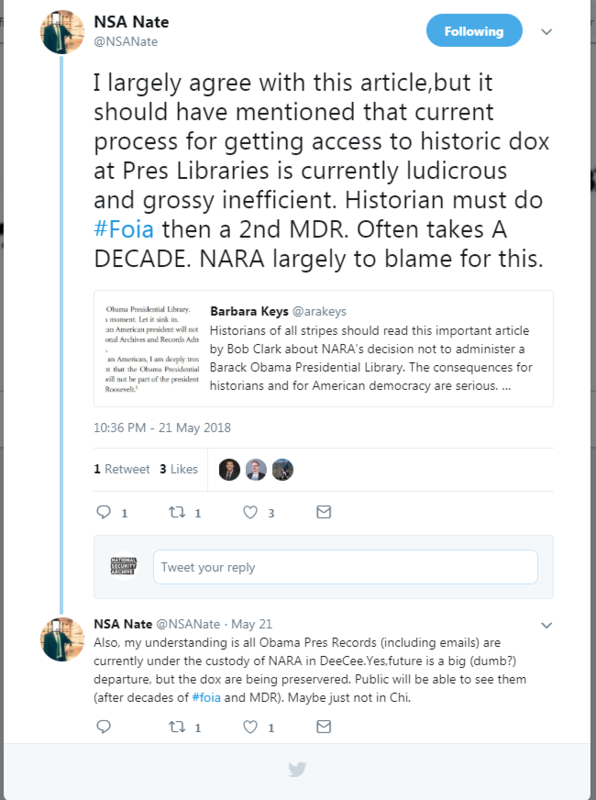 The Archive’s Nate Jones notes that, while the move raises questions about access to Obama’s records and the nature of NARA’s relationship to future presidential libraries and museums, that the current process for accessing historical records at NARA-run presidential libraries is “ludicrous and grossly inefficient.” Historians typically must file a FOIA request, then an MDR or two to receive the documents, and the entire NARA-run process can take a decade or more. There is an opportunity for the Obama museum to create a more efficient model for accessing historical records. The Associated Press obtained documents through the FOIA showing that service members guarding nuclear missiles at an Air Force base in Wyoming bought and distributed LSD and other drugs for months before being discovered. The documents “tell a sordid tale of off-duty use of LSD, cocaine and other drugs in 2015 and 2016 by airmen who were supposed to be held to strict behavioral standards because of their role in securing the weapons.” Fourteen airmen were disciplined in the scandal, six were convicted in court martials. Byrne also notes, however, that “North’s later experiences may be instructive for the current president, as well as his personal lawyer, Michael Cohen, now under investigation.” Byrne argues that the threat of prosecution can turn the loyalties of even the most devoted aides, and that an enthusiastic base of loyal supporters may not protect you from party retribution years down the road. Want to know more about North’s role in Iran-Contra and criminal prosecution? 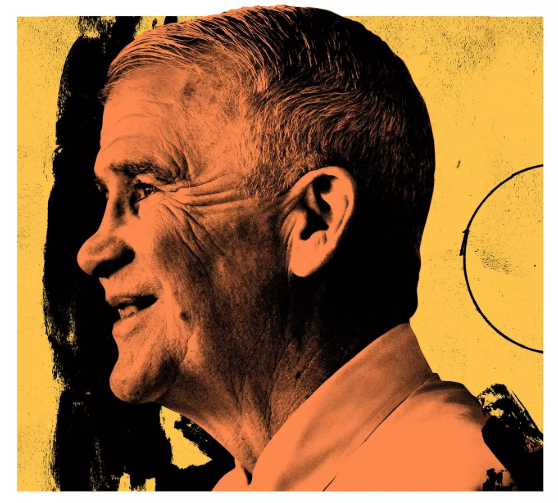 Read the next president of the NRA’s Iran-Contra diaries, showing knowledge of Contra drug operations and readiness to collaborate with likes of Manuel Noriega. The controversial Article VI of the Non-Proliferation Treaty, requiring “good faith” disarmament measures, arose from the “fear” by non-nuclear weapons states “of being frozen indefinitely into second class status,” according to newly declassified U.S. documents about the NPT negotiations posted recently by the National Security Archive to mark the Treaty’s 50th anniversary. Article VI has been controversial partly because of conflicting interpretations over what it requires and perceptions that the nuclear weapons states have not taken positive action to live up to that commitment. The documents illuminate the “second class status” concern that led the Mexican government, in September 1967, to propose a separate treaty article obliging disarmament action by the nuclear weapons states, along with other Mexican proposals that were critically important to building an international consensus for the NPT. This week the National Security Archive’s Cyber Brief highlights documents on Israel’s cybersecurity proficiency. The document selections relate to Israel’s cybersecurity organization, policy, cooperation with the United States, and an FBI notice on a coordinated attack on Israeli and Jewish websites known as #OpIsrael. This week’s #TBT pick is chosen with recent reports (made possible thanks to Food and Drug Administration emails released through FOIA) that weedkiller linked to cancer was found in common foods, including but not limited to granola and cornmeal, in mind. This week’s #TBT pick is a 2016 posting highlighting a wide variety of news stories broken that year thanks to FOIA requests – including another FDA FOIA release, this time showing a cheese manufacturer was putting no parmesan in items labeled “100% parmesan,” but was occasionally including wood chips.